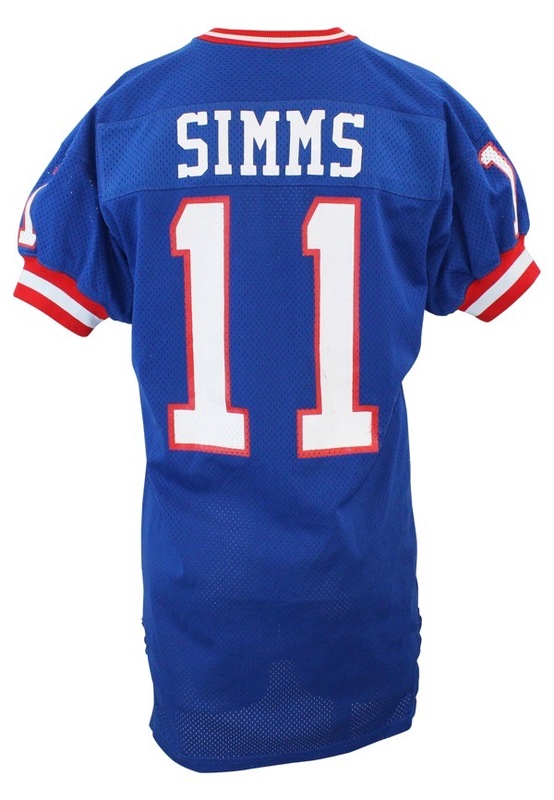 Phil Simms won two Super Bowl Championships with the New York Giants and was the Super Bowl XXI MVP, setting the record for the highest completion percentage in a Super Bowl. His No. 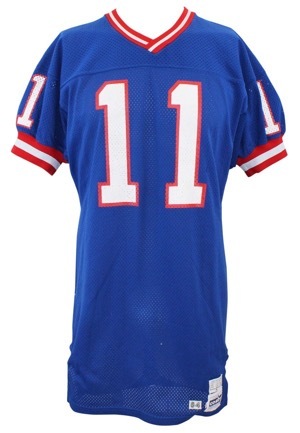 11 is retired by the New York Giants, and he is part of their Ring of Honor. 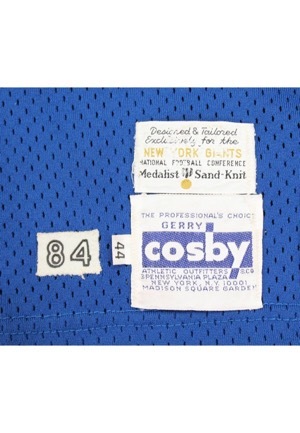 On the front left tail is the Gerry Cosby manufacturer’s tag with an attached flag tag reading the size “44”. Adjacent above is the “Designed & Tailored Exclusively for the NEW YORK GIANTS” tag. Adjacent to the left is a box tag reading the year “84”. On the right inseam is a flag tag with jersey materials and washing instructions. Across the front, back and on both sleeves is the player number “11”. These are painted in white on red. Across the back on a blue nameplate is the player name “SIMMS” painted in white. This jersey is properly tagged, was presented to us as game-used and in our opinion shows excellent use.